Proceeds from the charity guitar raffle at this year’s Reepham Music Festival will go to a leading children’s hospital in London. The raffle raised around £500 for the Great Ormond Street Hospital Children’s Charity, which was chosen by headline act Roachford. 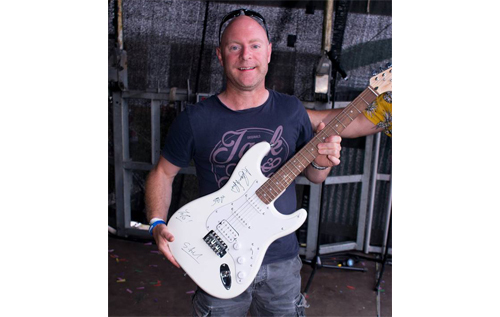 The guitar, sponsored by Spar Reepham (thanks to manager Laura Jarvis), and signed by all the members of Roachford, was won by Jonny Marsh.